At twenty years into their career, Old Crow Medicine Show is really too young to sound like a legacy act. And yet, we have Volunteer. Volunteer is not necessarily a bad album but it is an album that suggests its makers have earned all the attention and accolades they ever hoped to receive, satisfied their creative urges and, with nothing left to strive for, are content to phone it in. Frankly, it sounds like Old Crow Medicine Show is hardly trying. If you already like them you will like this album and if you don’t, you won’t – it’s as simple as that. The string band made their name on their study of antiquated music forms realized via impassioned, punkish performance and that is the name they have kept. And they cannot be disparaged for choosing and adhering to a specialty – fruitful careers have been built upon repetition and homage, nowhere more than in traditional or old-time genres. So they rip and roar with familiar abandon on “Flicker & Shine,” “Shout Mountain Music,” “The Good Stuff” and the traditional instrumental “Elzic’s Farewell” while flexing their narrative muscles on “Look Away,” “Old Hickory” and others, ably, if somewhat contrivedly, spinning Americana tales of the same cloth as the music that influenced them. There is a rare electric guitar on a track or two but, in truth, that instrument’s faculty as a sign of evolution and transgression in traditional-leaning music has waned steadily since Bob Dylan genuinely evolved and transgressed with it over fifty years ago, so its presence, and the purported evolution it heralds, barely register (looking at you too, Mumford & Sons). 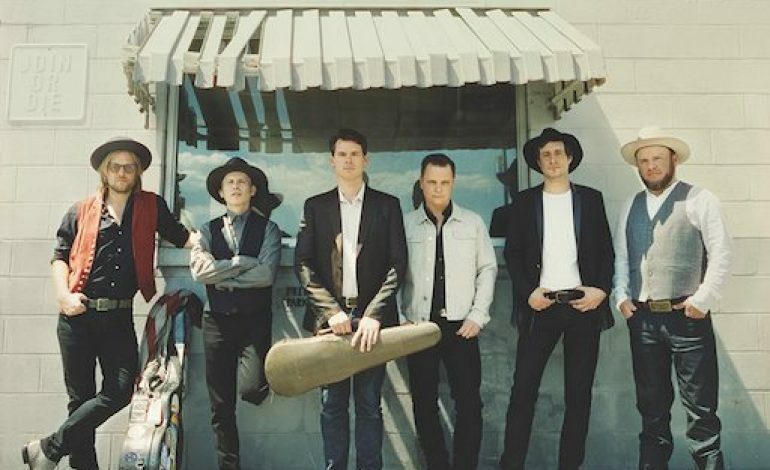 Old Crow Medicine Show’s endeavor is a special and largely, admirably, selfless one. It is clear (and has always been) that this band is not pointing the way forward for music as an art form. They instead ask us to consider the value of what is behind – sometimes through imitation, sometimes through incorporation, sometimes as a basis for creation and sometimes just for enjoyment. Take your pick. The impact they have had since their inception is undeniable and they continue to grind away. There is something to that. You know exactly what you’re getting with Volunteer before you start it. There is something to that too. Whether that something is good or bad, well, that’s up to you.